How are students to become question generators, note takers, efficient planners, critical users of information, and creators of quality products? This book takes an instructional approach with a broad range of activities that can be used to develop these qualities in students. 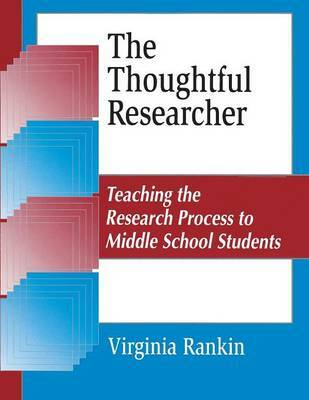 Moving beyond the usual theoretical discussions of the research process, Rankin provides learning activities to help middle and junior high students develop the skills necessary to carry out the steps of the research process. She also explores the roles of time management and the visual display of information and she outlines techniques that can help practitioners reach their own insights and conclusions about teaching the research process. Rankin's straightforward text is illustrated with numerous anecdotes and examples which make for a practical and fascinating read.